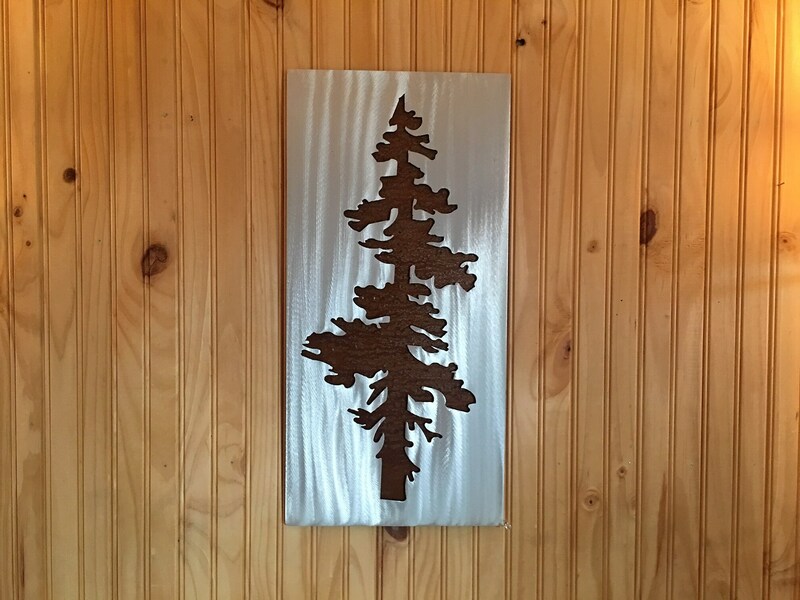 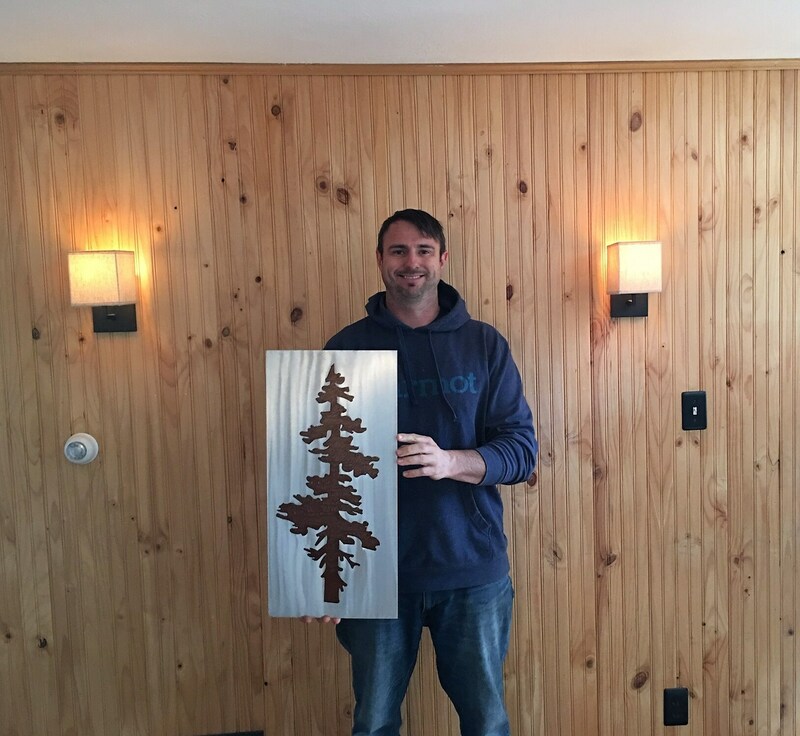 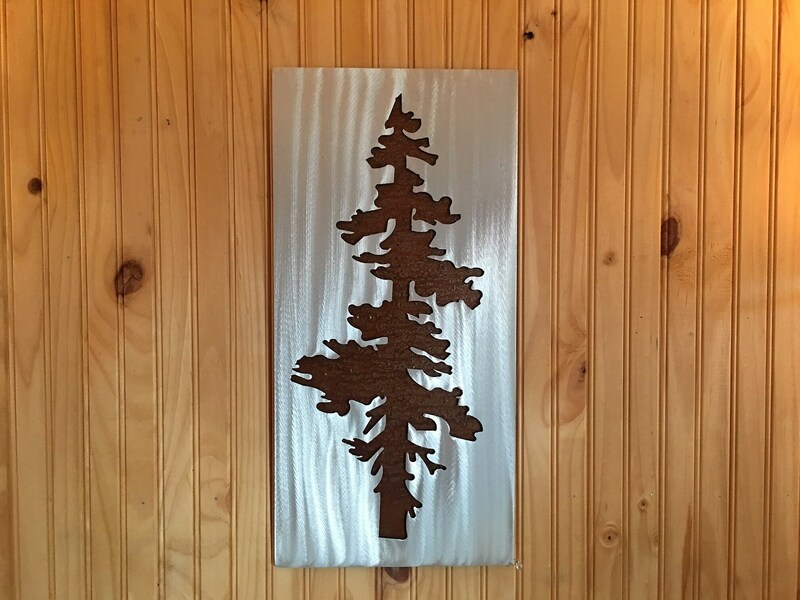 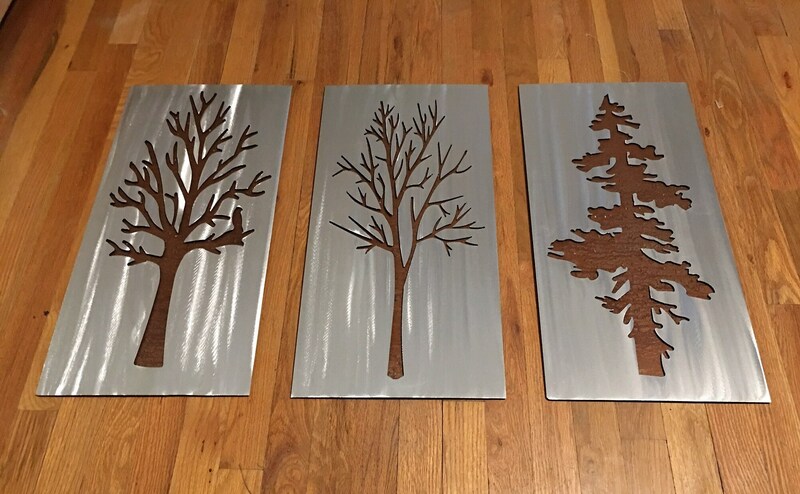 Thanks for your interest in my Modern pine tree metal artwork. 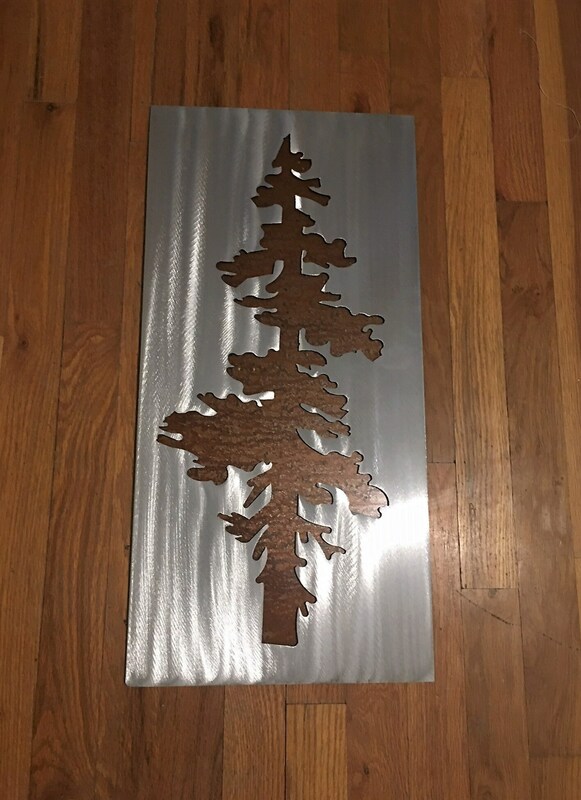 The dimensions for the listed item is 23.5" tall by 11.5" wide. 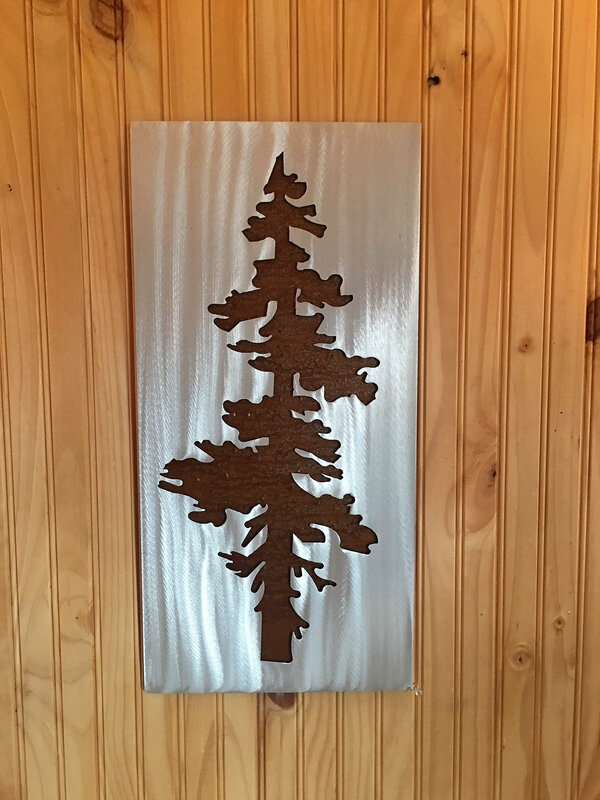 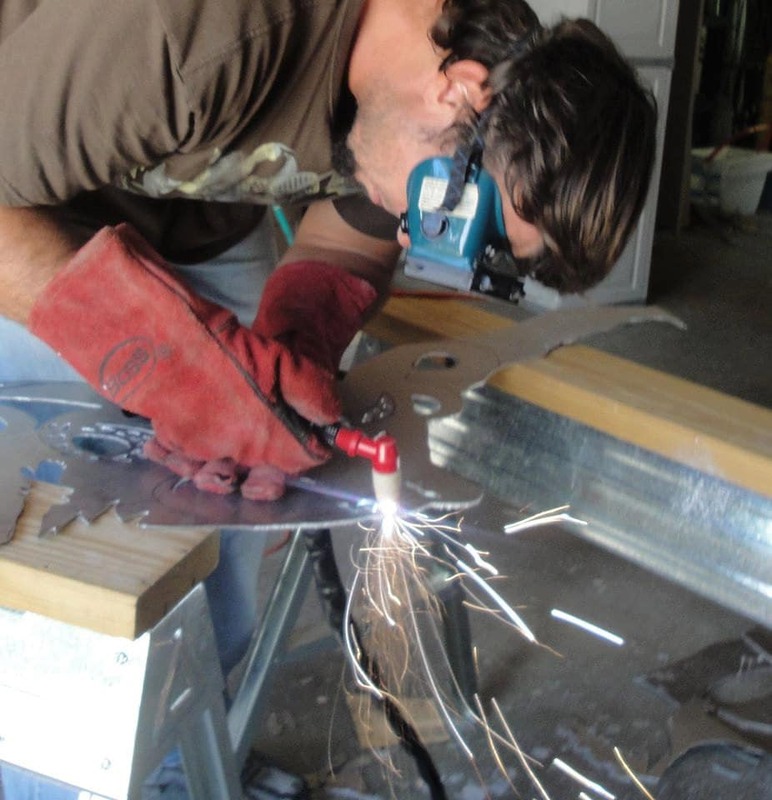 This metal artwork is made by hand with a polished aluminum front and patina steel back to make this one of a kind double layered piece.